The Cabbage Plot began as a letter to my friends in Spring 2010, enlisting them to try to grow cabbage seeds I bought during an art residency in Anyang, South Korea in 2008. This site is a record of their efforts. 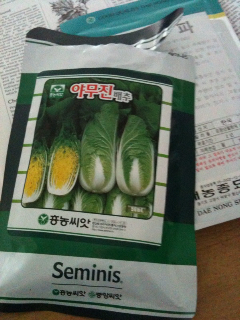 I’m starting cabbage seedlings from the seeds I brought home from Korea. 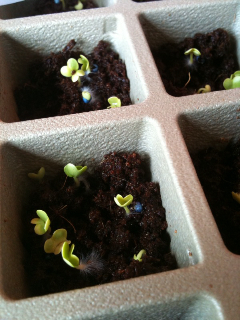 The seeds I planted Sunday are already sprouting in my studio! Please consider fostering a cabbage for me this summer. They are smaller napa type cabbages used for kimchi. The seed packet says they should mature in 40-60 days. When I was there, people in Seoksu Market grew them in plastic washtubs on the side of the street. I think they’ll do fine in a big pot on a terrace, stoop, or roof. Of course, if you have a yard, things should work out really well too. 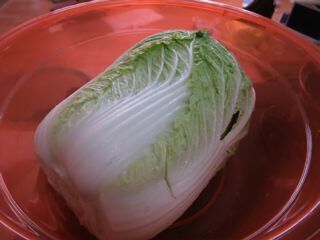 I hope you will send me updates (verbal or visual) of your cabbage during its homestay with you. 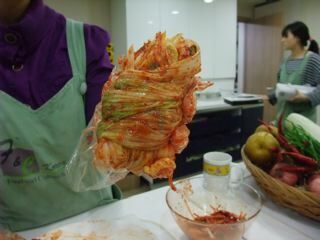 In exchange for your efforts, I will make kimchi for you with the head you raise. Let me know if you would like seedlings or seeds.